The Pittsburgh Steelers are doing their due dilligence on quarterbacks, even though the team signed Landry Jones to an extension. 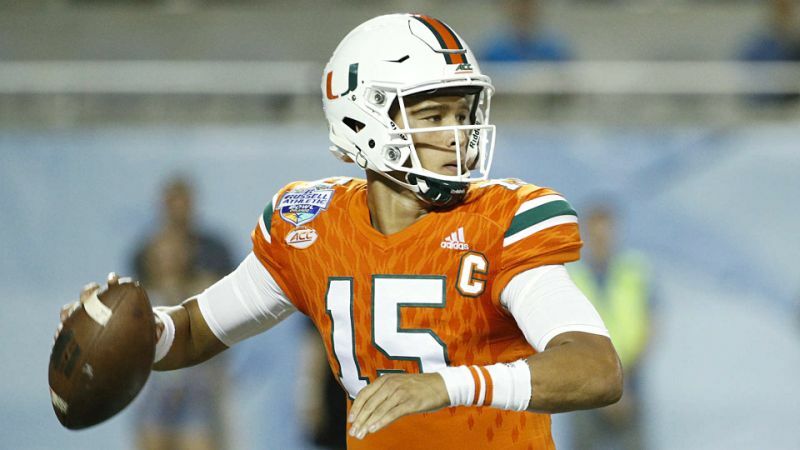 The Steelers seem to have interest in Miami (FL) quarterback Brad Kaaya, whom they met at the NFL Combine and spent time with him at his pro day. What’s to like: Excellent mechanics, according to NFL.com Kaaya has been schooled on them since eight years old. Has very good footwork. Excellent touch on the football and knowledge of when to throw with touch. Has good pocket awareness, climbs the pocket when necessary. Doesn’t panic when pressured, stays calm and collected. Has a good looking deep ball. Shows good touch in between linebackers and safeties. Keeps his balance, doesn’t throw off back foot often. Concerns: Lack of NFL arm strength, under throws frequently. Too often does he take the sack rather than throwing ball away. 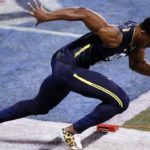 Too many pre-determined throws, can he go through a progression? I’d like to see more zip on the football, NFL defenders will have a split second more to make a play on the ball. Accuracy and ball placement is spotty throwing to the sidelines. According to NFL.com, Kaaya completed just 38% of his passes between 11-20 yards in 2016. Needs to sell the play fake better. Gives away his intentions too easily, defensive backs can read him without issue. Verdict: With the mechanics and footwork needed to become a starting quarterback, Kaaya’s tape is encouraging. He has some flaws, some personal and some scheme related. The Steelers seem interested in him and with Ben flirting with retirement, they may be open to drafting a kid with raw ability with a higher ceiling than Landry Jones. I believe Kaaya will be a better pro than collegiate quarterback. 2016 Stats: 261/421 passing (62% completion), 3532 yards, 27 TD, 7 INT, 150.3 passing efficiency rating, 1 rushing TD.